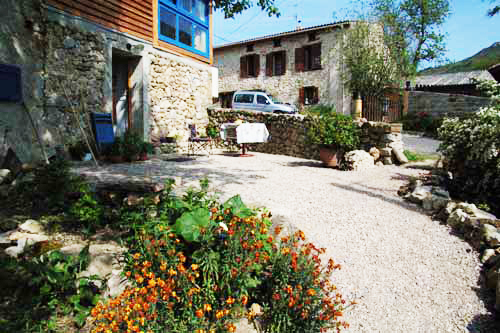 The holiday home Sent Martin (‘Sent’, Occitan, originates from ‘saint’) is part of a farm which is more than 500 years old. Being a run-down ‘grange’, or barn, at the time of purchase, it has changed into a modern furnished house, the ground floor consisting of an equipped kitchen with separate areas for cooking and dining, and a spacious and modern bathroom with separate toilet and shower compartments. The first floor provides a lounge with an unobstructed view. A parent bedroom with a 2.00 x 1.60 m bed and a second bedroom with two beds (both are 2 m long). The bedrooms are provided with ample wardrobe space. 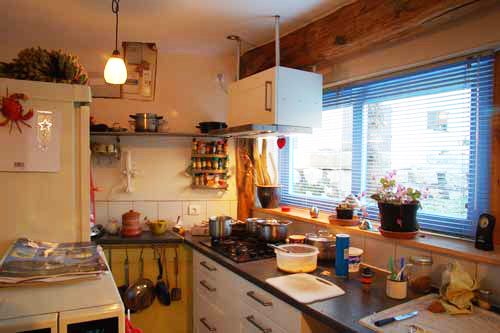 The kitchen is equipped with: A washing machine, dishwasher, microwave / hot air oven, cooking plate, Senseo coffee machine and a spacious refrigerator with seperate freezing compartment. 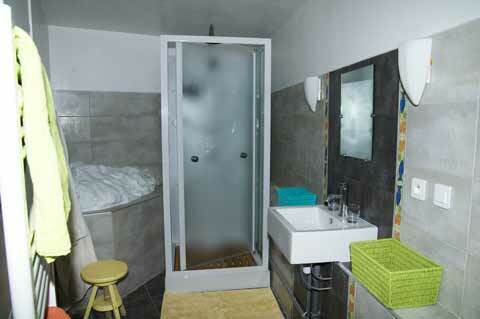 In the bathroom, with a separate toilet facility, a washbasin, shower cubicle, electrical heating and a towel drier can be found. 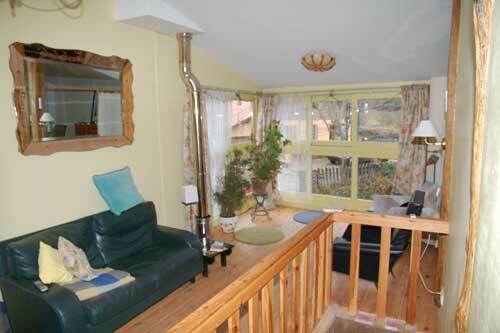 The holiday home also provides free wireless internet. In front of the house there is a terrace of approx. 20 m2 with picnic table. 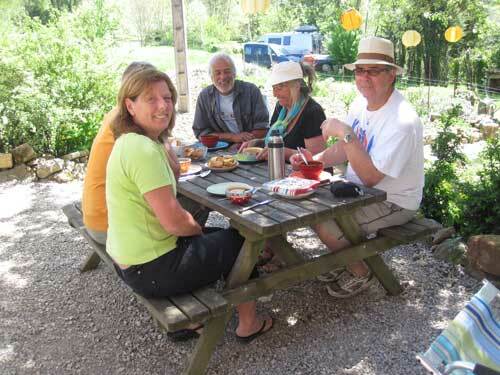 The house is equipped with electrical heating for cooler evenings and a wood stove to be used during the winter season. The Sent Martin holiday home measures 60 m2 and can accommodate groups/families ranging from 1 to 4 persons. You can book by sending an email (or calling) stating your address data, the period and the number of persons. We will inform you of the availability of the holiday home in the respective period, with a request to transfer € 100 to our bank account. Your booking will be definitive on receipt of the above amount. This amount will be deducted from the last payment. Payment will not be refunded when cancellation takes place within 4 weeks before the agreed date. A weekly period runs from Saturday afternoon 15:00 till next Saturday morning 12:00. We are happy to receive pets, but they should be kept on a leash in the yard. Smoking is NOT permitted in the holiday home. Calais – Roquefixade by way of Paris: approx. 550 miles. You can take the toll road from Calais by way of Paris. In Paris, follow the road signs for Bordeaux. Keep following the A10 direction Bordeaux till the fork at Orleans. Take the exit onto the A71 direction Toulouse / Vierzon. At Vierzon, take the exit onto the A20 direction Toulouse. Upon arrival in Toulouse, follow the signs Carcassonne, Montpellier / Narbonne. Disregard the green road signs for Foix. Continue following the A61 road signs Montpellier / Narbonne, later joined by Foix. After the toll gate, just follow the A61 till the exit Foix (and Pamiers). 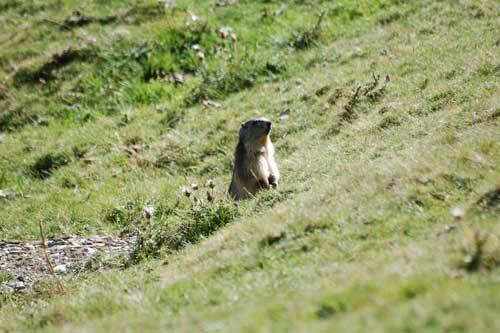 Follow the A66 Foix / Andorra. After the toll gate, continue on the N20 direction Andorra and take the second exit after the Foix tunnel, in the direction of Lavelanet / Quillan / Perpignan (D117). Follow the D117 until passing the hamlet Palot and turn left to Landes / St. Martin. After Landes (a farm), turn left onto an uphill road to St. Martin. Should you have missed the exit Landes / St. Martin, turn left when arriving in Nalzen and follow this road, turning right at the road sign St. Martin. The Sent Martin holiday home awaits you at the three-forked road in St. Martin on the left side, recognisable by the blue shutters. Ryanair provides flights to Carcassonne from various British airports, such as London Stansted, East Midlands, Leeds and Liverpool, and also Irish airports, such as Cork and Dublin). Alternative destinations, such as Perpignan and Gerona, are also optional, but will result in longer travelling distances. Of course, flights to Toulouse are possible using various airlines, including British Airways; taking the airport shuttle to the main railway station in Toulouse enables you to continue travelling to Foix by train. After consultation, we can pick you up from above mentioned cities in most cases, at charges based on mileage. Please consider that vice versa mileage for Foix will be 2 x36 km, Perpignan 2 x 220 km and Carcassonne 2 x 150 km. 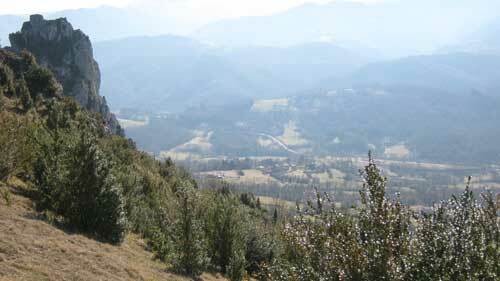 The Ariège has been proclaimed the most beautiful department by the French at several elections. Foix is the capital of this least populated and smallest department of France. 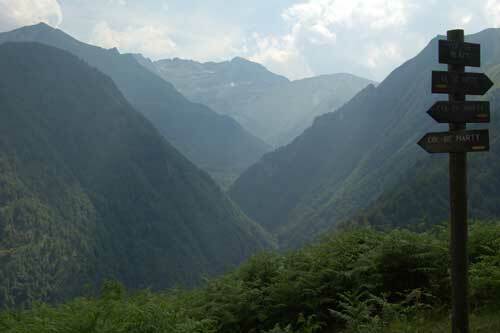 The Ariège's history dates back to the early Stone Age with traces of human population, the Romans visited the hot water wells and during the 13th century the French from the north, joint by the Vatican inquisition, waged a bloody war to exterminate Catharism. Life in 14th century Ariège was depicted in detail by Emmanuel Le Roy Ladurie in his book “Montaillou, village Occitan”. 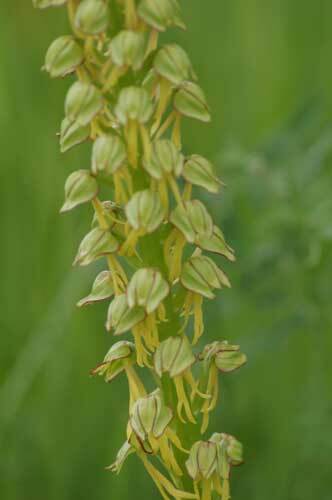 The ‘Ariegeois’ are proud of their surviving capabilities. This is shown by the area’s welcoming notice when entering the department: ‘Terre Courage’. Roquefixade is a 14th century village, which, like a typical French village, has got its own castle. Well, a castle: it is a ruin now. The castle was mentioned in early recordings of the 11th century. By 1800 the village had more than 600 inhabitants, against 145 now. The holiday home itself is located in St. Martin, a so-called ‘petit hameau’ (a hamlet), about a kilometre south of Roquefixade. 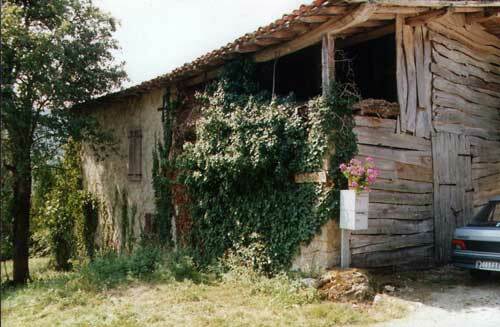 It consists of seven old and natural stone houses, with some more recent ones further down in the valley. The holiday home is located at an altitude of 636 m and provides a view of the Pic de St.Barthelemy, altitude 2340 m, to the south. The land around St.Martin is used as meadowland. Haymaking is once a year, and after that cows graze on certain lots or a shepherd’s flock ranges over the land. 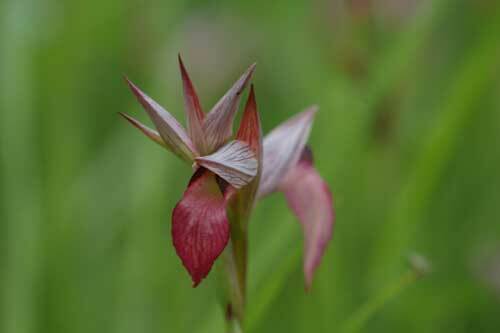 Without the use of fertilizer, the meadowland will turn into a magnificent display of colours in spring, because of thousands of wildflowers. 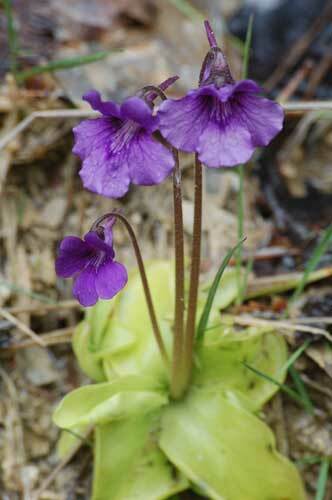 Dozens of orchid species can easily be found within a hundred meters of the holiday home. You can frequently spot birds in the air, such as the golden eagle, the peregrine falcon and an occasional vulture, including a small colony of sparrows which has its home base in St. Martin. 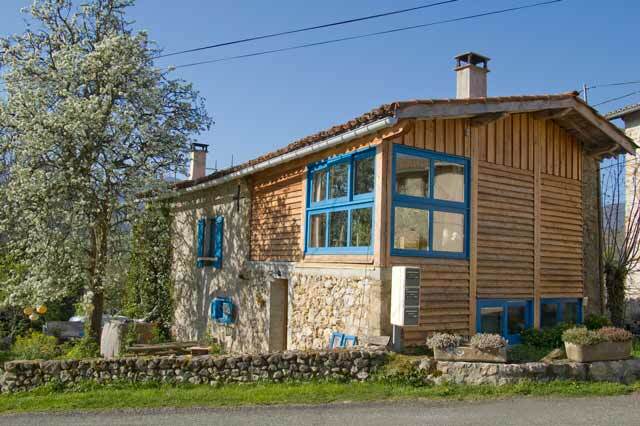 Lavelanet, 7 miles east of St Martin, is the nearest town with conveniences such as shops, physicians and so on. This undeniably boring, provincial town is very practical when it comes to shopping in supermarkets, butchers and bakers. You can even find discount shops like Aldi and Lidl. Foix, 8 miles west of St.Martin, is the departmental capital with more than 10,000 inhabitants and has a pleasant city centre with a pedestrian precinct. The castle of Montségur, soaring above the village of the same name, recalls the inquisitional stakes of the 13thcentury Cathar crusade. The cities of Mirepoix and Carcassonne are renowned for their well-preserved city centres, dating back to the 12th / 13th century. Water lovers can indulge in a swim in the lake of Lac de Montbel, located at 12 miles east of St.Martin. Furthermore, it also offers possibilities for sailing and canoeing. A little more to the east is the location of Nebias, with its natural labyrinth. 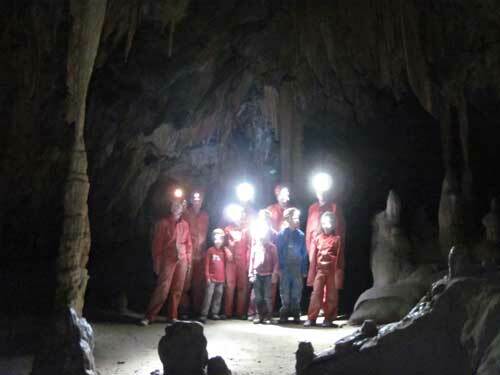 The Grotte de Niaux, with its superb cave paintings, is located at half an hour’s drive. There are guided tours, during which a number of the original paintings can still be seen. 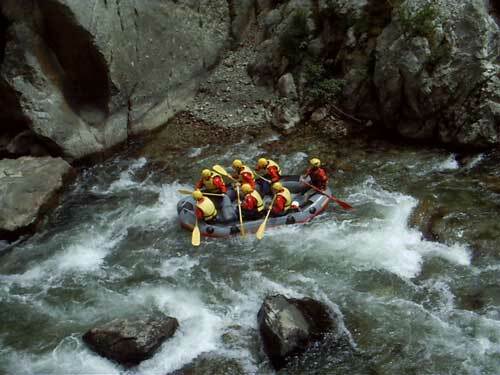 More water can be found in the Canal du Midi and at the Mediterranean Sea coast near Perpignan. Should you be interested in books, a visit can be paid to Montolieu, the ‘village of books’. 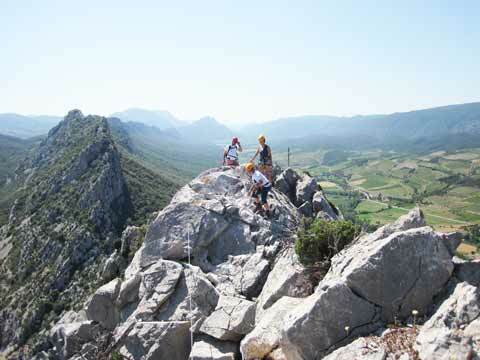 Bugarach, 60 minutes from the gite, is located at the foot of the mountain, Pic de Bugarach. 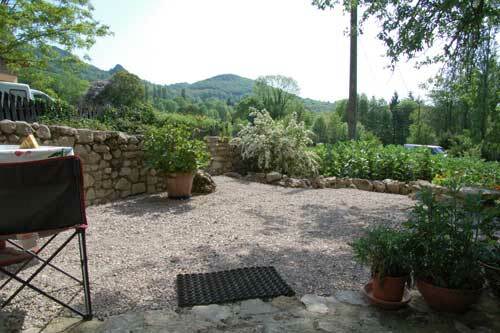 For the visitors of the land of the Cathars, 20 minutes from the gite are the initioncaves of the Cathars in Ussat les Bains. 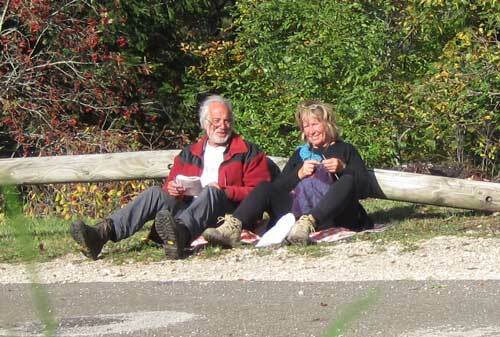 You can walk from the gite to Montsegur, following the Sentier Cathare. Tax-free shopping in Andorra is also popular. Roquefixade also keeps up with the times. 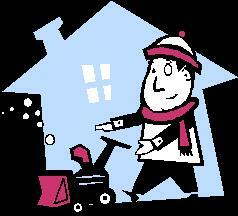 Once a year, on a Sunday morning, Roquefixade has its special day for doing odd jobs. 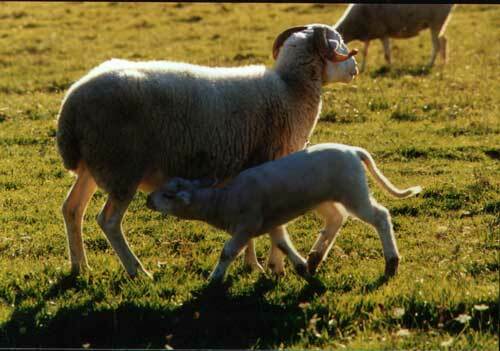 Nearly all the inhabitants participate in the activities. The work ranges from painting the church gate or cleaning the fountain to applying and tampering asphalt onto the village access roads. In return, the municipal council offers all participants a ‘repas’ (a meal). This meal, joined by around 80 people, starts off with buzzing voices and, since most people have switched to wine after the aperitif, ends up in a real cacophony, in which your poor command of French will completely go unnoticed. 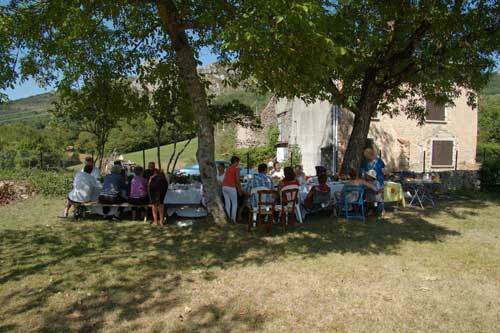 At the end of July Roquefixade, like any respectable village, organises a communal dinner for residents and guests. 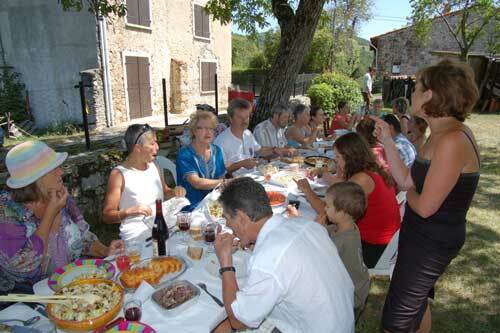 Every third weekend of August St.Martin organises its own communal dinner, for which all residents and guests bring their home-prepared dishes, snacks, and drinks. It is a suitable occasion for exchanging recipes of traditional dishes. Foix is known for its jazz festivals, (street) theatre, and Roquefixade has its ‘Musica del Temps Passé’ at the end of August/ beginning of September. 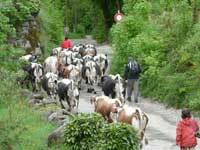 In a number of villages (such as Saurat) there are festivities related to the ‘transhumance’ (accompanying cattle to the summer pastures) in May/June. The fourteenth stage of the Tour de France 2012 will start in Limoux and will lead the cyclists across Col Portel, Lavelanet, Tarascon sur Ariege, Port de Lers, the Mur de Péguère (18%) to the finish in Foix. 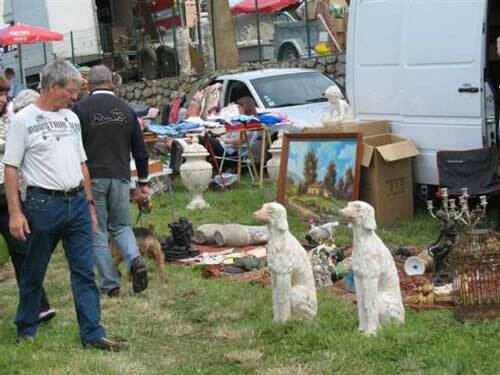 For those who love to wander around jumble sales, nearly all villages in the near vicinity (and further away) organise activities that the French call ‘vide greniers’ (literal translation: ‘empty attic’). You might actually find real bargains there. 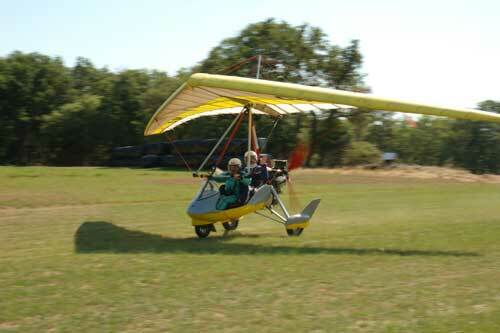 For an aerial view of the Ariège, you can book a flight on the ULM, a small lightweight plane. 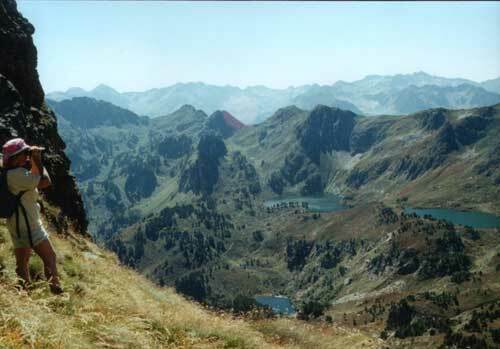 The Ariège offers thousands of miles of walking routes, ranging from easy to extreme difficult. 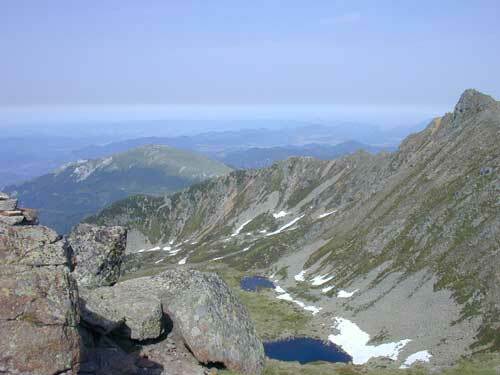 Several GRs (Grande Randonnees, long walking routes) are located in this department, such as the GR10, a route starting at the Mediterranean Sea and ending at the beaches of the Atlantic Ocean, and the GR107, which tracks the ‘Bonshommes’ from the north to Spain. You can also do them partially, and take the best bits. 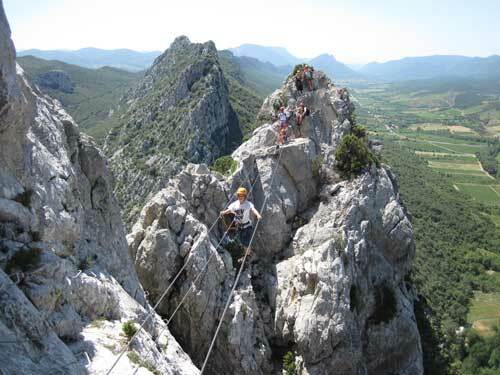 The ‘Sentier Cathare’ (‘the path of the Cathars’) will lead you from the Mediterranean Sea via Bucharach and Montsegur to Foix. It is indeed a historical walking route. In addition to these routes, all self-respecting villages/municipalities/regions will promote their own walking routes. There are maps and guide available in the holiday home for the occasional walker, the ‘promeneur’, as well as the experienced hiker, the ‘randonneur expérimenté’. 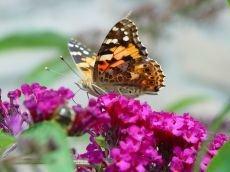 We are experienced in the accompaniment of walks ourselves, so we could be of help to get started. 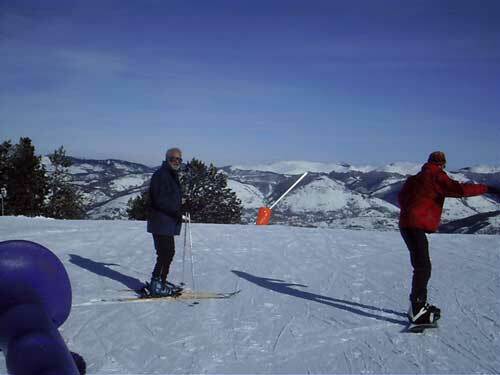 Several skiing areas with good facilities are located within an hour’s drive. For skiing cross-country we can recommend Plateau de Beille and the Col du Chioula; for downhill skiing Les Monts d’Olmes and Ax-Bonascre. The vast Andorran skiing areas are at a little more than an hour’s drive. 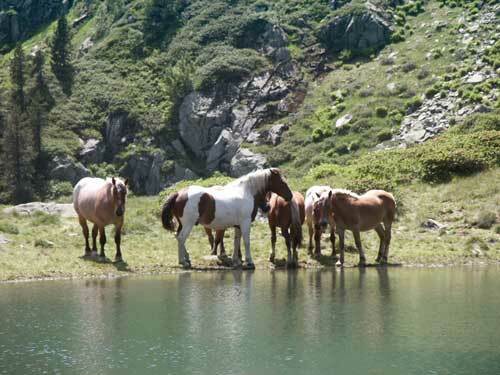 Andorra is also well-known for another reason. In Andorra many articles are significantly cheaper than in surrounding countries because they are free of excise tax.